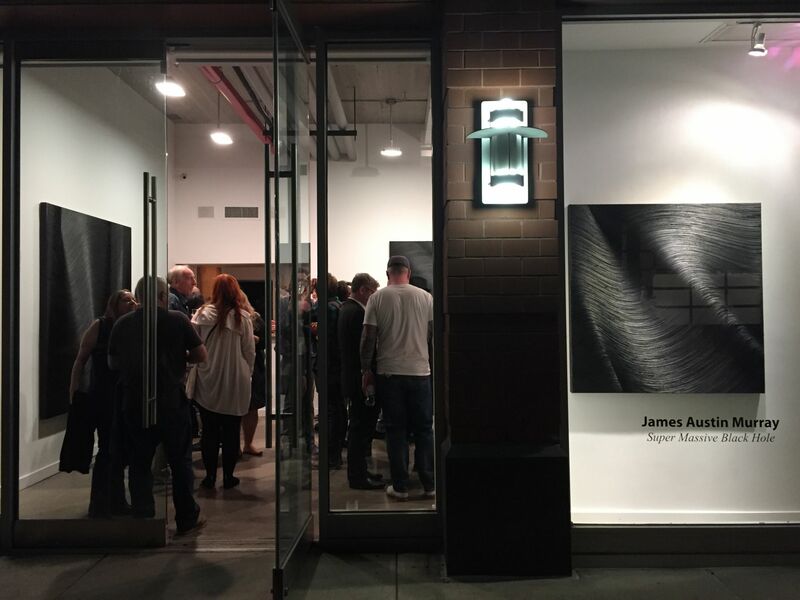 [New York] Lyons Wier Gallery is pleased to present "Super Massive Black Hole" by James Austin Murray. 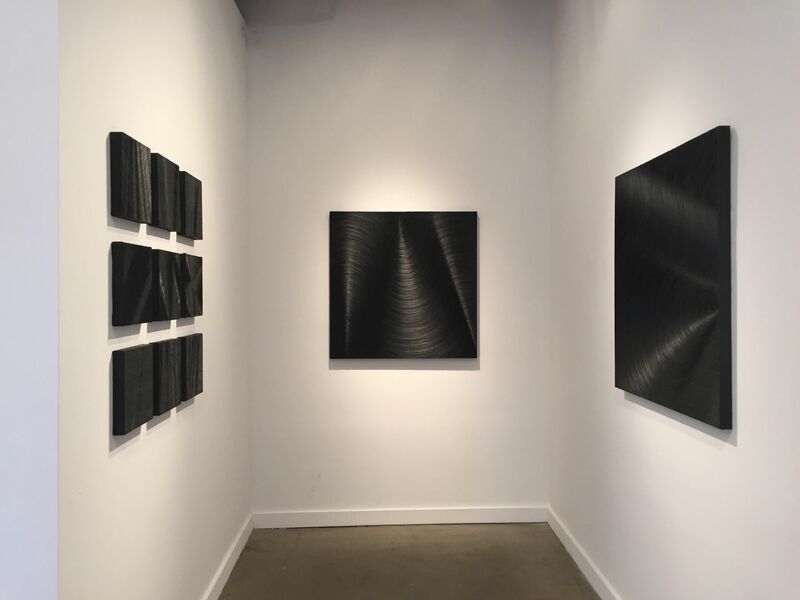 As the light shifts in the gallery, one begins to notice that James Austin Murray's compositions visually shift from concave to convex. 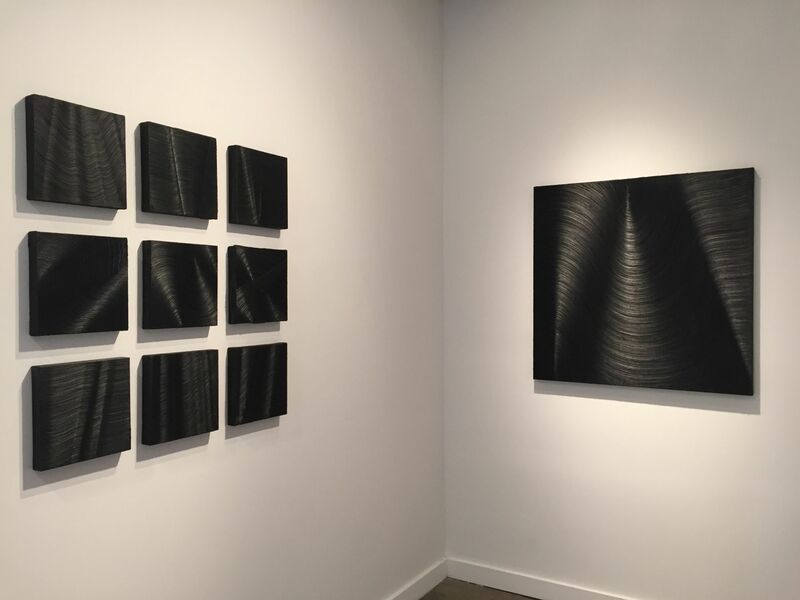 It's often odd to speak three dimensionally about a two dimensional surface, but Murray is the only artist we have ever shown where the viewer is transfixed by the surface of the painting, following the brushstroke across the canvas, only to approach the piece and look at the piece from its side as their brain is not convinced as to what their eyes see. 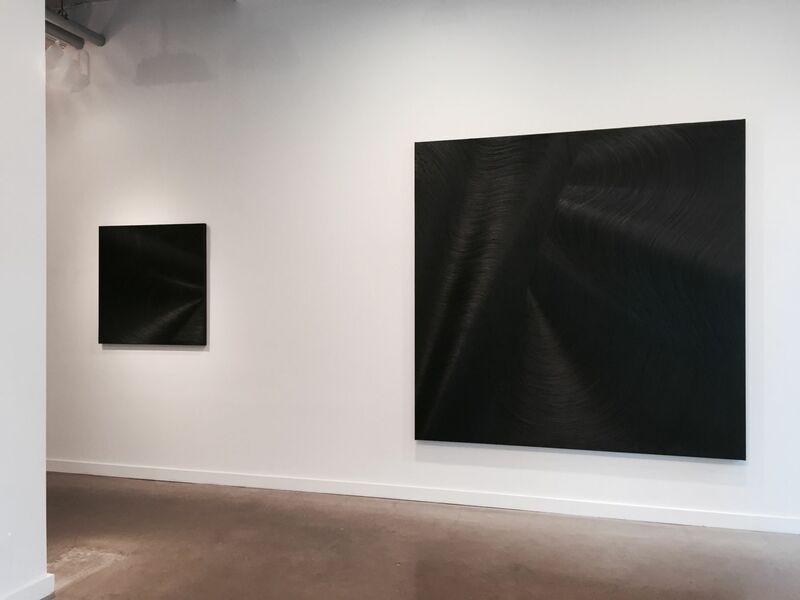 Murray states, “Fifteen years ago I moved from figurative to abstract work on small canvases, limiting myself to black oil paint. Forcing this constraint on myself was unpredictably liberating. Over the years I've expanded and contracted on my constricting parameters. 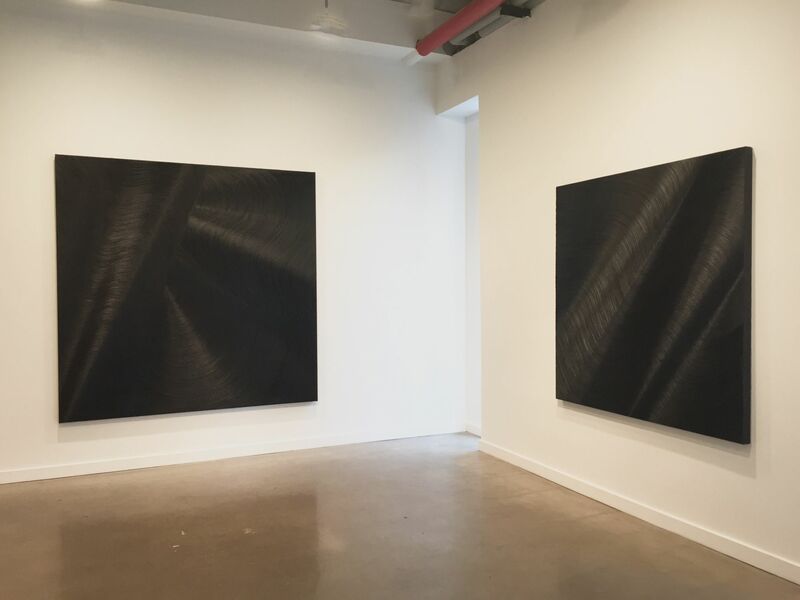 I spent several years building shaped canvases that were a jumping-off point for the paintings that followed.” The all-black paintings coincided his compulsory retirement from his "day job" as a New York City firefighter. Having been a 911 First Responder, Murray, as with many of his peers, was placed on early retirement. This threw him into a tailspin where he smartly used his art practice to purge his past and pull together the next chapter of his life. 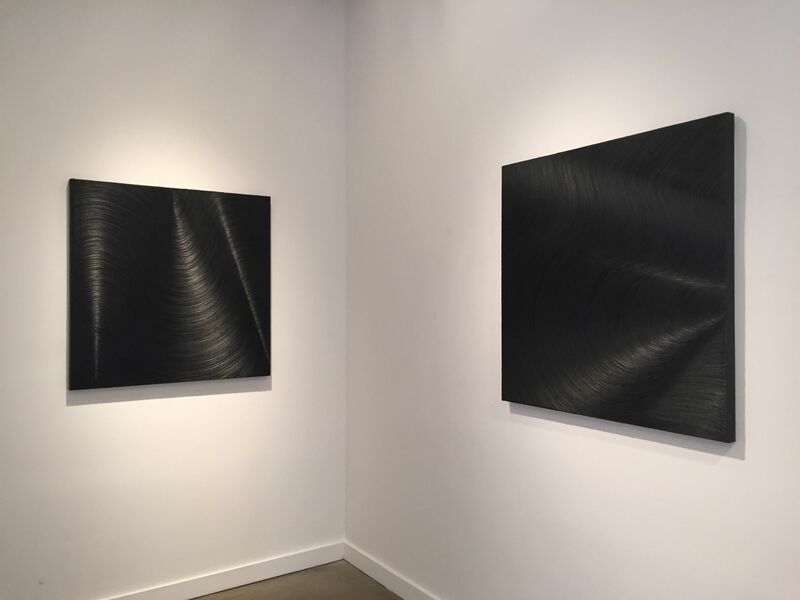 Murray’s paintings seem to undulate as the viewer visually scans the surface of each piece striving to understand the flat plane before them. 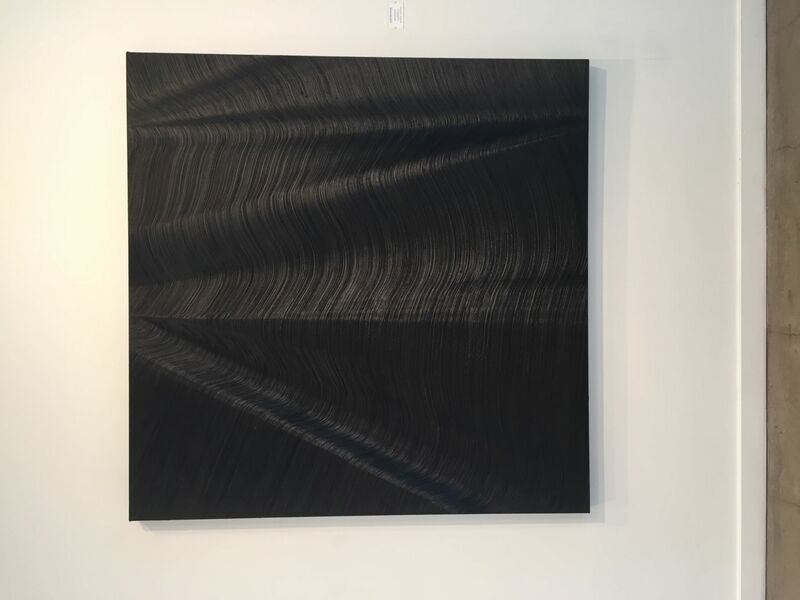 The way the natural and incandescent light reflects and refracts off the ivory black square is mesmerizing. 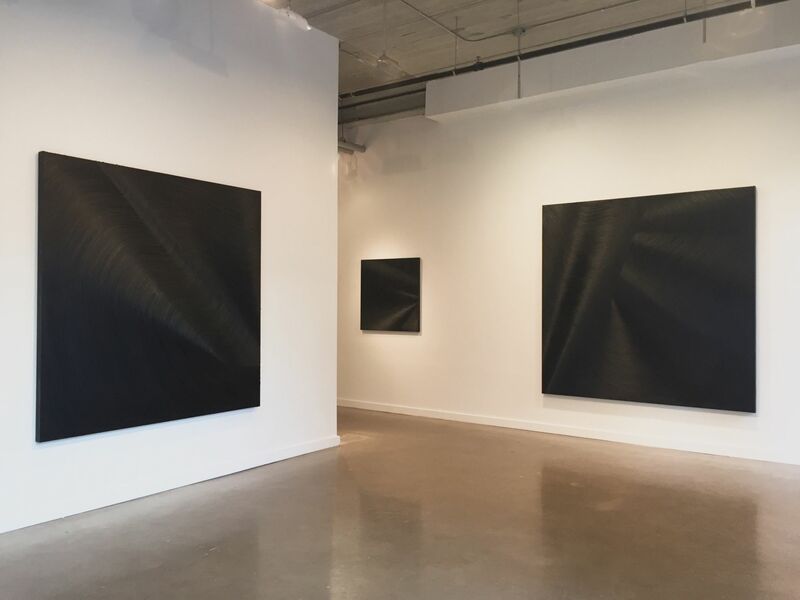 He creates this optical play by troweling oil paint onto the face of the canvas and then pulling a stiff bristle brush across its surface in a single stroke achieved through muscle memory. 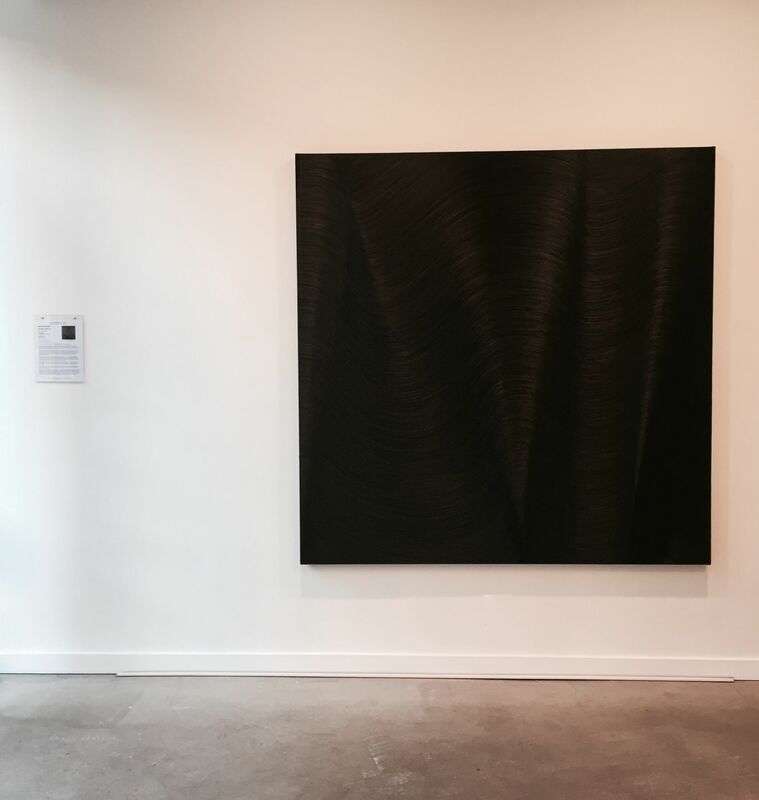 When you stand in front of one of Murray's paintings, you can feel its pulse. It is a canvas that was brought to life with a single brush stoke which took twenty-five years to master. There is a palpable sense of assuredness in the marks he makes which can only be defined by intuition, with a little sprinkle of magic.